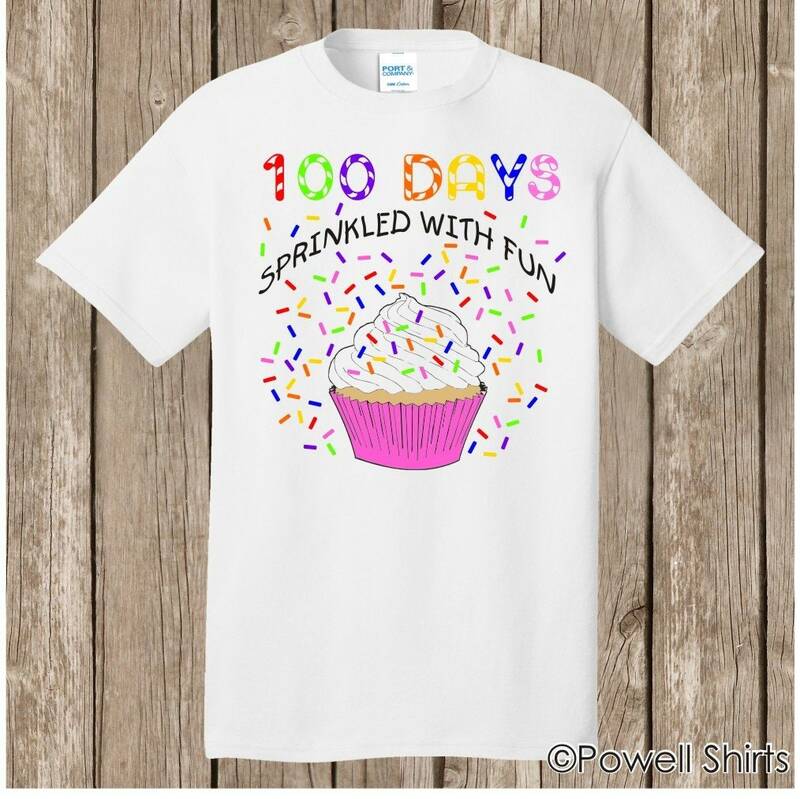 100th Day of School T Shirt WHITE - super speedy shipping - 100 sprinkles - 100 days sprinkled with fun - Celebrate 100 days of school!! .Celebrate the 100th day of school in this adorable white T shirt!! 100 sprinkles - 100 days sprinkled with fun. Available in youth, infant and toddler sizes as well!! Please see included size charts or email any questions. Available in white or ash. Infant and toddler sizes are only available in white. *Our print operations will be closed from noon Thursday, Jan. 31, 2019, through Sunday, Feb. 3, 2019, so if you order during that time, your order will be mailed Monday, Feb. 4, 2019. PLEASE BE SURE TO READ AND CONFIRM the shirt measurements below. These shirts are "made to order", and we cannot accept returns if you order the wrong size. REFUNDS will not be offered unless we cannot ship your shirt in the time frame outlined here (the "ready to ship date" to the right under shipping and returns).